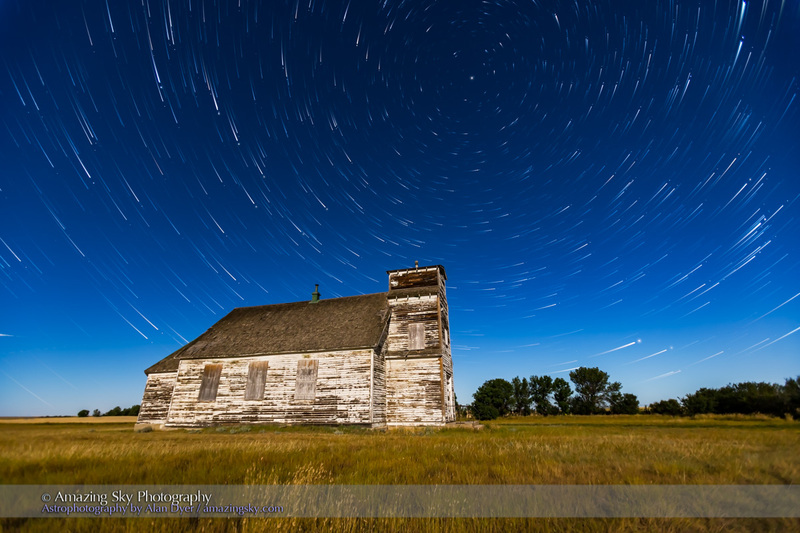 I present a short time-lapse vignette of scenes shot under moonlight on the Alberta prairie. 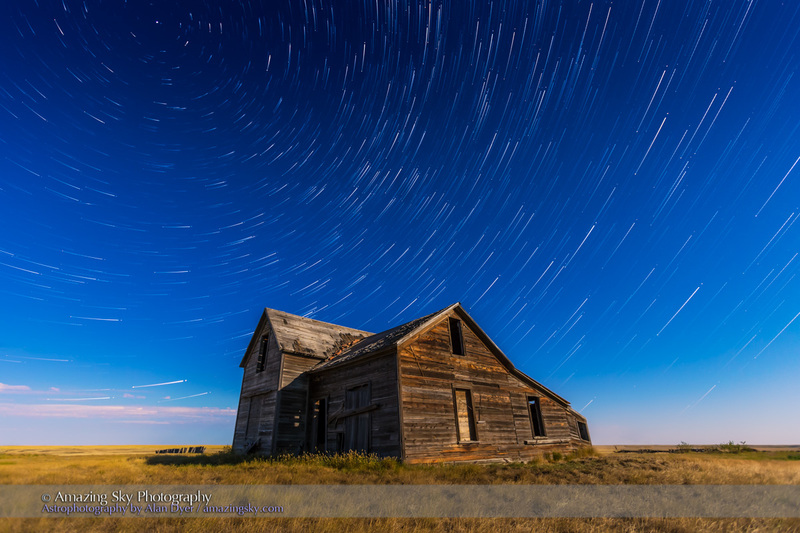 The movie linked below features sequences shot July 29 and 30, 2015 on beautifully clear moonlit nights at locations south of Bow Island, Alberta, on the wide open prairie. The three-minute video features two photogenic pioneer sites. The church is the now derelict St. Anthony’s Church, a former Roman Catholic church built in 1911 by English and Russian-German immigrants. It served a dwindling congregation until as late as 1991 when it closed. At that time workers found a time capsule from 1915 with names of the priest and parisioners of the day. The wood church seems to have been largely neglected since. In the summer of 2014 the Church suffered its latest indignity when the iron cross on its steeple tower was stolen. 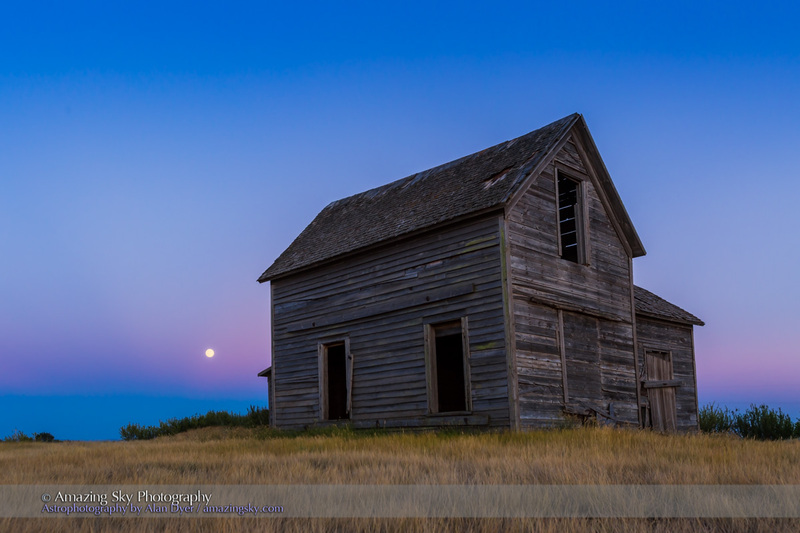 I also shot in the pioneer cemetery of the Church. The other site is a nearby farmhouse with photogenic textures and accompanied by rustic out buildings that are barely managing to stand. 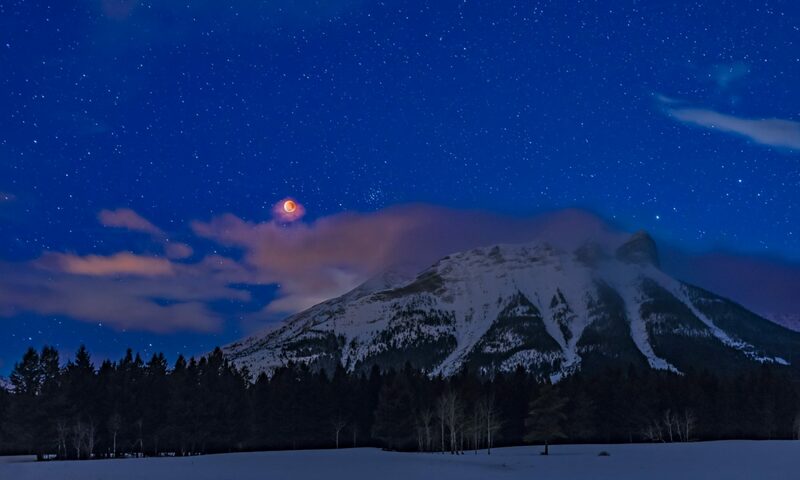 Illumination was from a waxing gibbous Moon, just 1 to 2 days before the infamous “Blue Moon” of July 31. Its bright light turned the sky blue, and lit the landscape with the same quality as sunlight, because it is sunlight! Enlarge the video to full screen for the full HD version. I shot the scenes with three cameras – a Canon 60Da, Canon 6D, and Nikon D750. The Nikon, with a 24mm lens, was on the Dynamic Perception Stage Zero Dolly and Stage R panning unit, while the 60Da, with a 14mm lens, was on the compact Radian panning unit. The third camera, the 6D, with a 16-35mm lens, was on a fixed tripod for the star trail sequences and stills. The music is by Adi Goldstein (AGSoundtrax.com), whose music I often use in my sequences. It just seems to work so well, and is wonderfully melodic and powerful. Thank you, Adi! To process the several thousand frames that went into the final movie, I used Adobe Bridge and Adobe Camera Raw, supplemented by the latest Version 4.2 of LRTimelapse (lrtimelapse.com). Its new “Visual Deflicker” workflow does a beautiful job smoothing out frame-to-frame flickering in sequences shot in twilight under darkening lighting conditions. Thank you Gunther! For the star trail sequences and the still images above I used the Advanced Stacker Actions from StarCircleAcademy.com. Unlike most other stacking programs, the Stacker Actions work from within Adobe Bridge and Photoshop directly, using the processed Raw images, with no need to create intermediate sets of JPGs. Thank you Steven!